Even if it's only for three days! 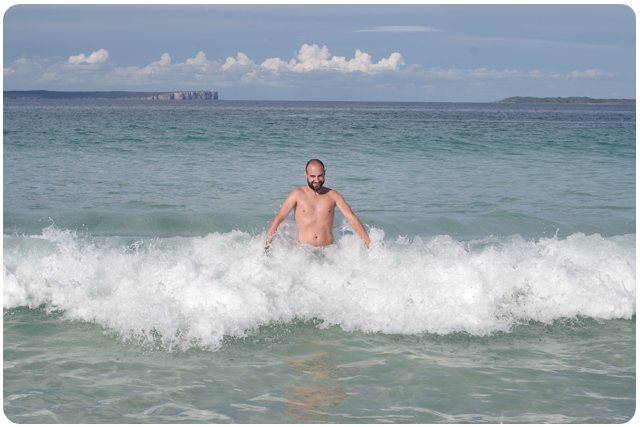 We got up super early on Sunday morning to drive down the coast to Jervis Bay. I hope our photos do the beauty of the nature some justice! The drive was already beautiful- While it was storming on our way down there, and raining on our little boat trip the whole time we spent there was blue skies and sunshine. 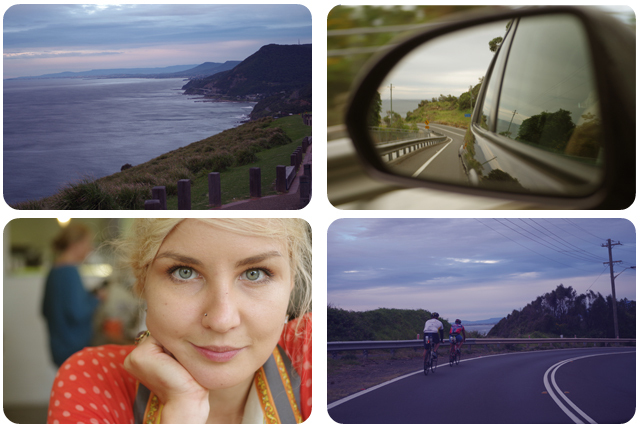 We were driving down by the coast, stopping over at some great viewing point while the sun was rising. strengthening ourselves for the boat ride across the whole bay. 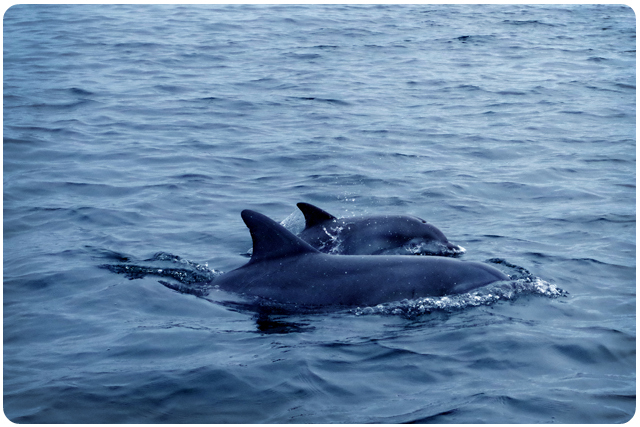 And we saw dolphins! Even a little baby one! They were too fast to capture but Dave managed to snap a little part of them. 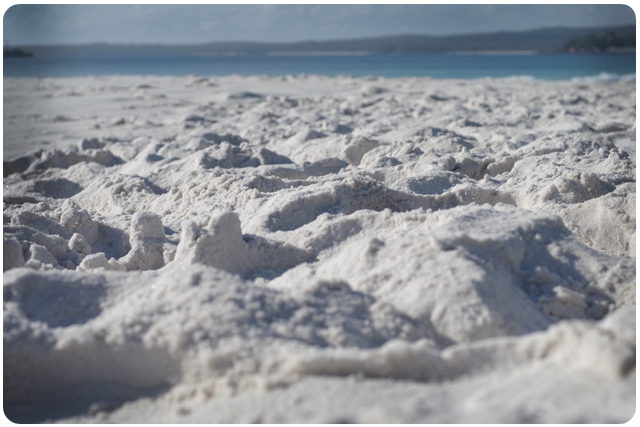 Hyams Beach, where we were staying at has the whitest sand beach in the whole wide world (yes, it actually is in the Guiness Book Of World Records). 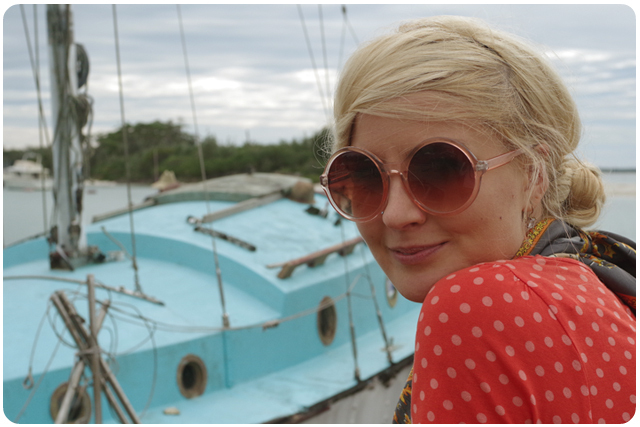 The water was the cleanest most turquoise I have seen, the nature was overwhelmingly beautiful. 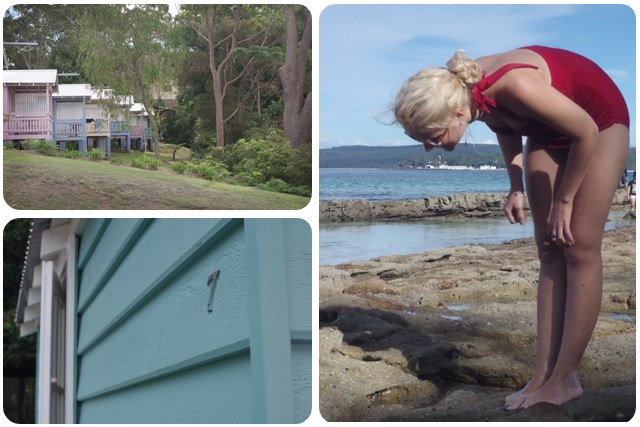 Our little cottage with ocean view, was the cutest thing I have ever seen. The owners put so much love into it, it showed in every detail. Actually it was so good that on our second night we didn't even want to go out for dinner! We had a seafood BBQ on the veranda instead. AMAZING. 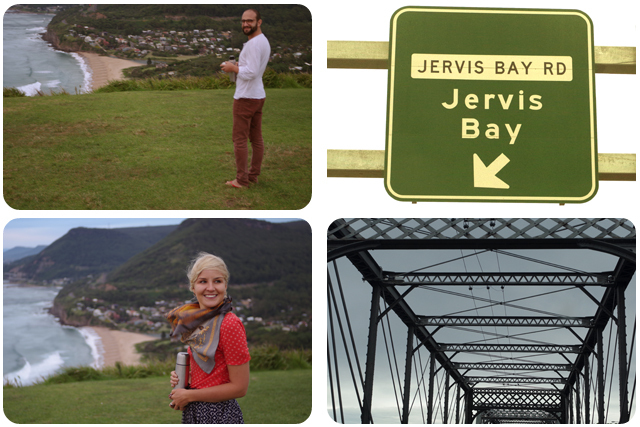 More about our little getaway very soon! Hope you all had a fantastic Easter weekend. oh liv what a beautiful place that is!!! i would be so relaxed after going there! Great holiday snaps. 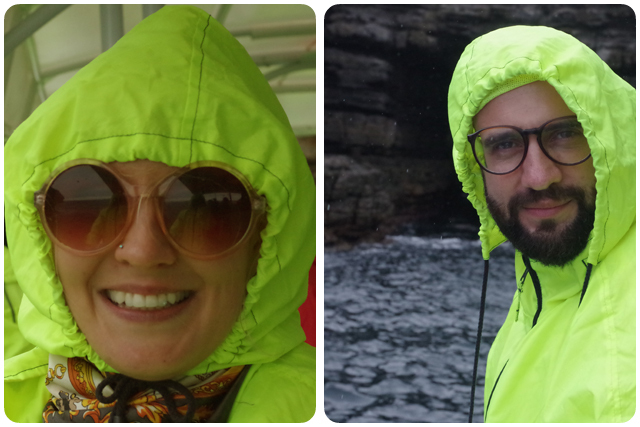 I love your matching his-and-hers neon rain hoods! haha! they were part of the boat trip. the only time it rained! 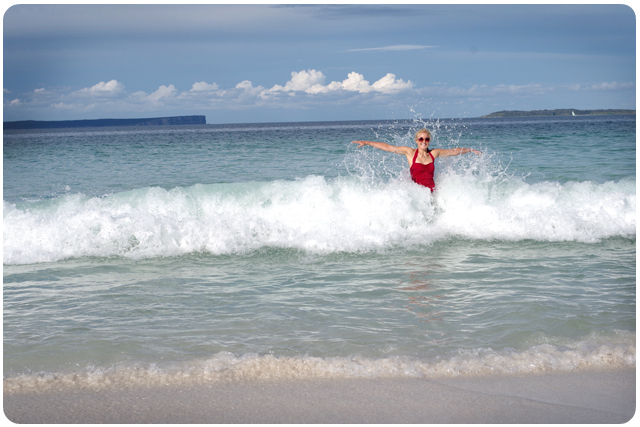 ahhhh jervis bay is my favourite!!! 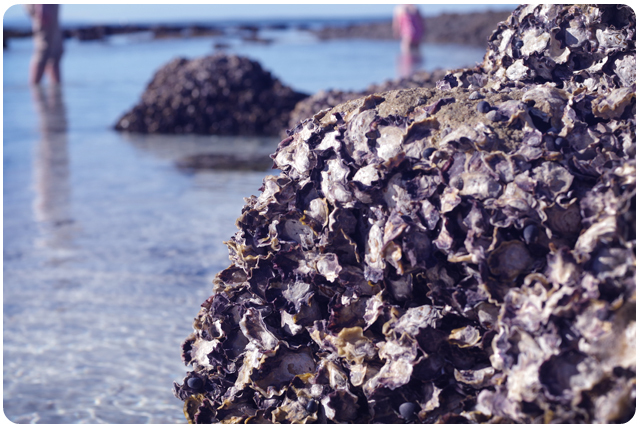 did you head to the beaches inside the national park? lovely pics. Yes! We went to lot's of little beaches in the national park too. Out next post will be about the national park. Just wanted to say hello, I stumbled upon your blog this morning and couldn't help but browse through past entries. 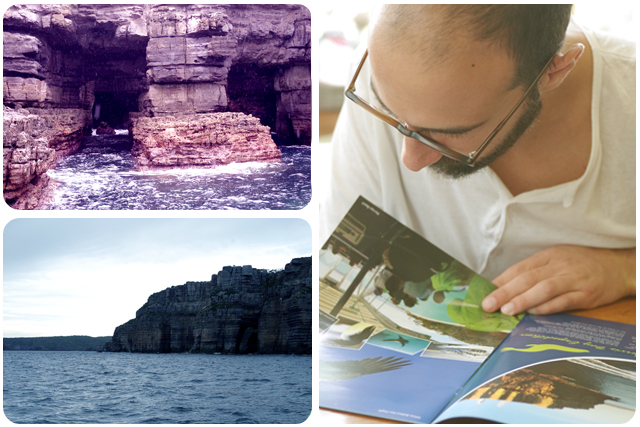 :) Looking forward to reading more from you! You guys gotta go! Not even that far. It will be a good little trip even when the baby is there. Looks amazing, Liv!!! 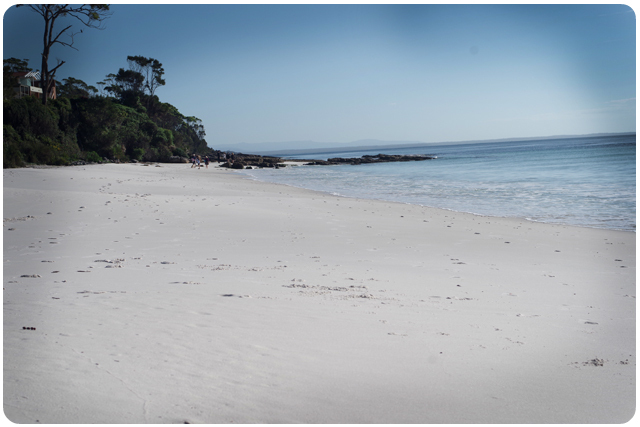 So lovely that you stayed in Hyams beach, it is absolutely beautiful and your pics did it justice. I think it's really awesome you saw dolphins too. 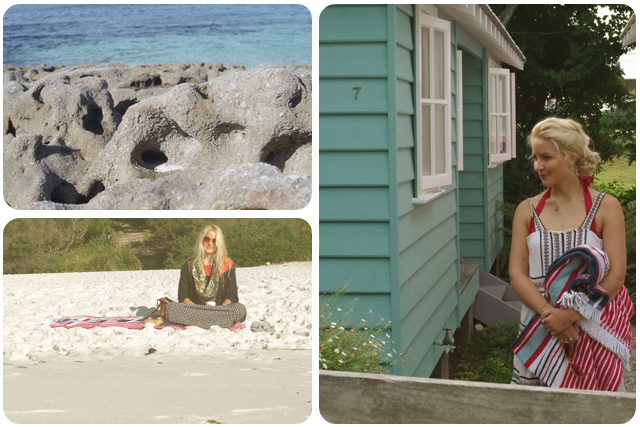 Jervis Bay is so beautiful, loved it there! 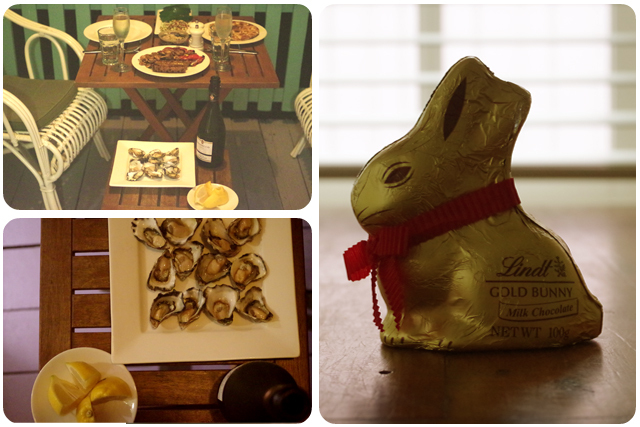 Oysters and a Lindt bunny? Perfect combination! Looks like you had a great time!